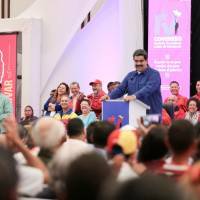 BOGOTA - Nicolas Maduro’s days as president of crisis-ravaged Venezuela are numbered, his departing Colombian counterpart Juan Manuel Santos told AFP. “I can see it happening in the near future,” said Santos, pointing to the International Monetary Fund’s latest projection that Venezuela’s inflation will hit 1 million percent this year. 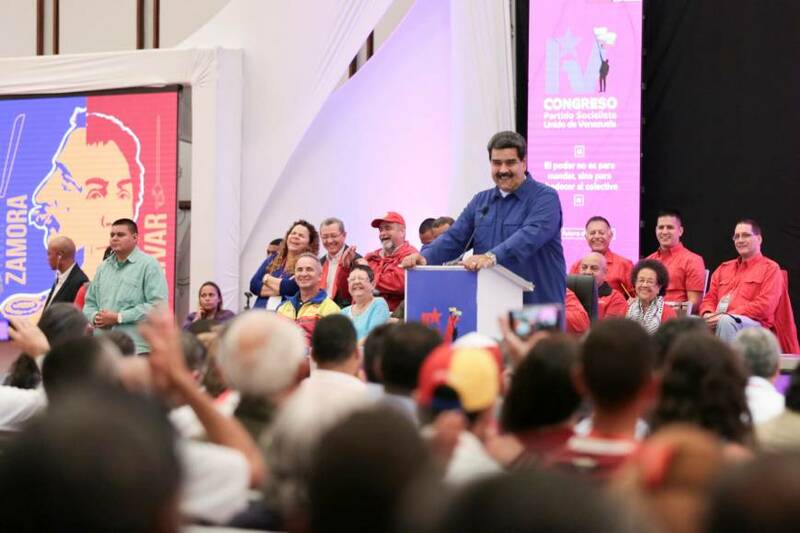 Relations between the two heads of state have been tense for years with Maduro describing Colombia as a U.S. “lackey” and Santos predicting imminent “regime change” in Venezuela ahead of presidential elections in May, won by Maduro but that were boycotted by the opposition. Thousands of Venezuelans have flooded into Colombia as they flee food and medicine shortages, as well as failing public services in their crisis-torn country. “He is in a state of denial,” Santos said of Maduro. “He is irrational because he says no, there is no crisis there and he does not need help. “Without a doubt, some ELN commanders are in Venezuela, we’ve known that for a long time,” said Santos. 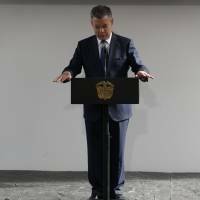 As well as stoking unease across the border, Duque’s ascendancy could have repercussions for the peace accord Santos signed with FARC rebels. That deal may have won Santos the Nobel Peace Prize but proved a poisoned chalice politically as his domestic popularity plummeted. Santos believes it was worth it, though, not for himself, but for the country. “My legacy will defend itself, you can see the results,” he said. “There is peace, the FARC is a political party, it’s there. “It’s the Colombian people that will defend peace because it’s not my peace, nor that of my government, but of all Colombians. Following a half-century of armed conflict, FARC guerrillas signed a disarmament deal with the government in December 2016 and were transformed into a political party with 10 seats reserved in the senate. Although the FARC laid down its arms, barring a few dissidents, the ELN has continued its own struggle, although Cuban-hosted peace negotiations are ongoing. “What we’re delivering, and what all the international organizations say, is that it’s a very complete peace, very deep. 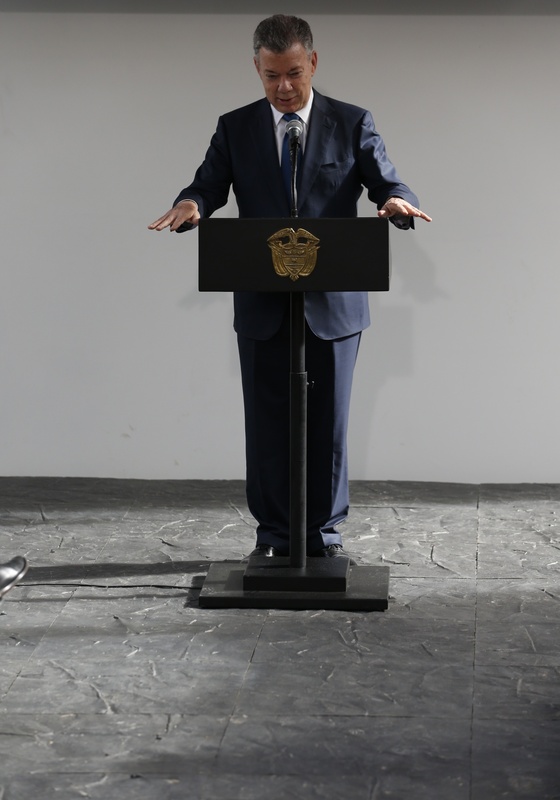 This agreement with FARC has no precedent in any other country,” said Santos. August 7 is the day Santos hands over the presidency to Duque, who upon his election in June vowed to make “corrections” to the peace deal, which he criticized for being too lenient on former rebels. Santos, though, sees no reason to fear that Duque will undo his hard-won achievements. But while Santos enjoyed success in bringing left-wing guerrillas to the table, he has been unable to tackle Colombia’s violent drug trade, which has left thousands dead. The fight against drugs cannot be “won by just one country” and needs to be tackled on a “multilateral” level, he said.